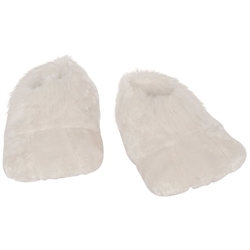 These faux-fur plush Bunny Shoes are the finishing touch for your Easter bunny costume. Bunny Shoes are also good for other creatures polar bears, cats, dogs, and almost anything else that walks on all fours! Bunny Shoes are colored as pictured and are available in a one size fits most option.